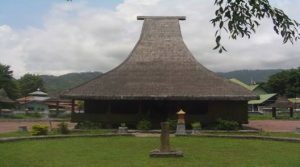 Ende is one of the city in Flores Island, East Nusa Tenggara. 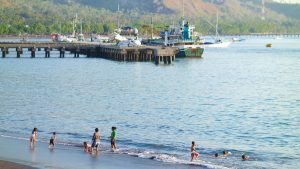 In this city, you’ll discover some Indonesian history, or learning how to weave the traditional cloth, or even enjoying the sunset at the beach. 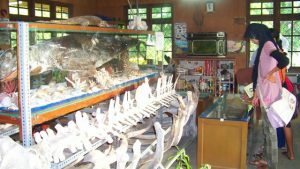 If you’re done with things to do in Flores, then you might visited some of the site mentioned after this. But, there are still lot of attractions available there for you to enjoy. 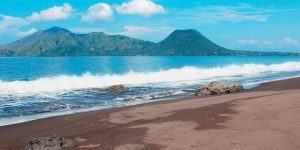 Here are 15 pleasurable things to do in Ende Indonesia that will soothe your body and soul, let’s check it out! Located in the crate of Kelimutu Mountain, you need to drive around 2 hours from the downtown. This site has three different lakes. The deepest one called Tiwu Nua Muri Koo Fai, which the locals believe it’s a lake for the young and women. At the southeast, there’s another lake called Tiwu Ata Polo that means “fascinating lake”. The third one is Tiwu Ata Mbupu or the lake for the elders. For the locals, this place is sacred for them so that’s why there’s no modern buildings around the site. The famous attraction from this site is the colors of the lakes that keep changing every time and there’s no pattern of the change. Sometimes it’s green, blue, red, and even black. The amazing phenomena is still in research. You better plan your trip to this amazing site! 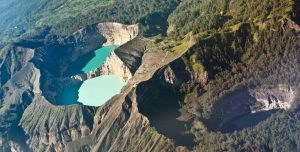 Located at the base of Kelimutu Montain, you’ll pass this village if you want to go to Kelimutu Lake. But don’t just pass it away! 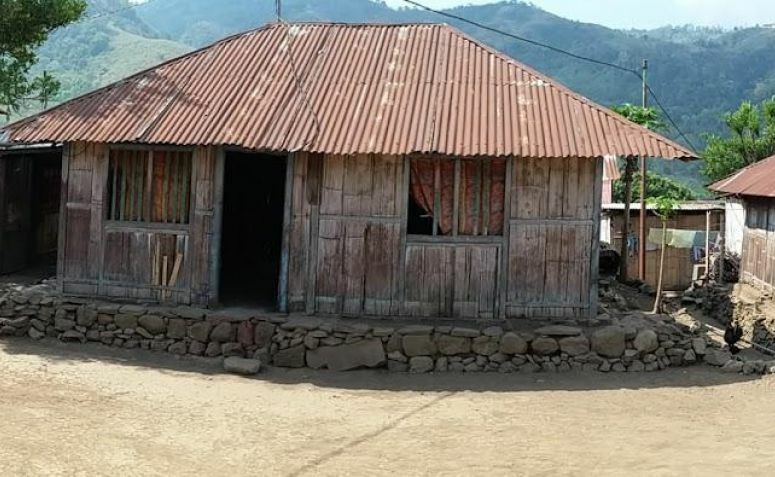 This village offer you some natural attractions that you can enjoy after a tiring walk to the lake, such as gardening, harvesting, and even helping the local to build their traditional houses. 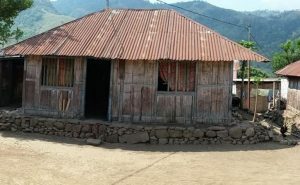 You can also stay for a night or two in the village, since they provide extra rooms for home stay. If you’re lucky, you can enjoy some local performances there as well. There are lots of local and foreign tourists that already have great experiences in this village. Hope you also have your own experience there! Only 13 km away from downtown, you’ll find hidden beauty in Kedebodu Village. Kedebodu Waterfall gives you some refreshing sensation with the 35 meters tall waterfall. Beneath the waterfall, you can dip your tired feet into the cold water or you can also take a swim for a while. But you have to check for the weather whenever you have some plan, since it won’t be nice if you get there in wet season. And also you need to prepare your belongings, because you’ll walk for a while and belongings will surely makes it uncomfortable. So plan your trip here carefully to make you get the best condition of the site! 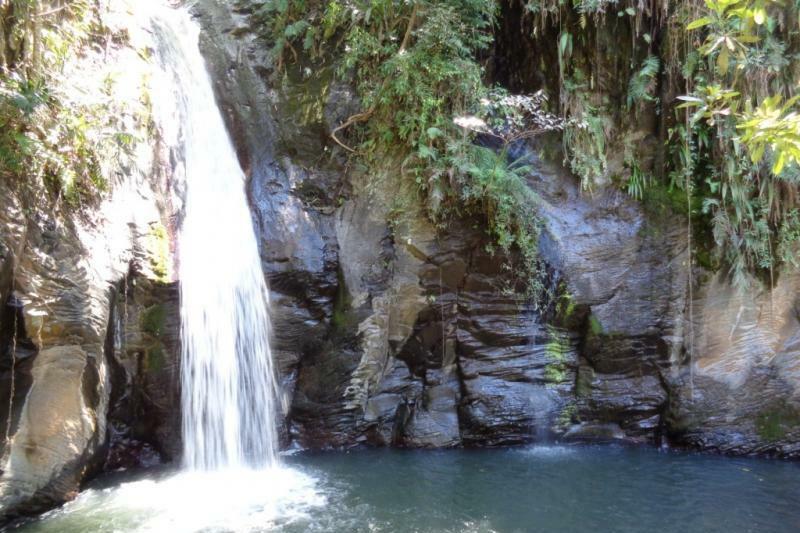 See another beautiful waterfalls in things to do in Tanjung Pandan. If you still unsatisfied with the previous waterfall, then Ende still has other beauties to offer. Murundao Waterfall is a bit further than Kedeboku Waterfall, around 60 km from downtown. But don’t worry for the walk, you only need to walk about 200 meters after you park your vehicle. You’ll pass a bamboo bridge along the walk, before you can find the waterfall nearby. The cold breeze and the crystal clear water will soothe your tired feet. Or you can take a swim for a while, but there’s no changing room or any facilities there. 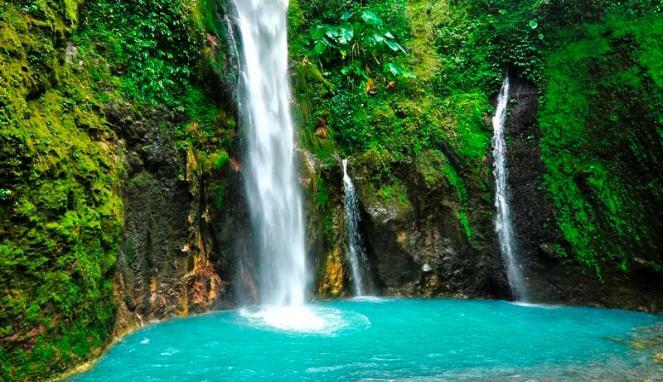 But you’ll be soothed by the still-natural atmosphere, so don’t forget to visit the waterfall as well! This campsite is around 40km away from Ende, and offer you some beautiful view with a fishing lake. It’s a very nice place to set up your tent there while catching some fishes for dinner. For the backpackers, it’s a perfect place to set your temporary camp and you can explore another beauty that hidden around the site. 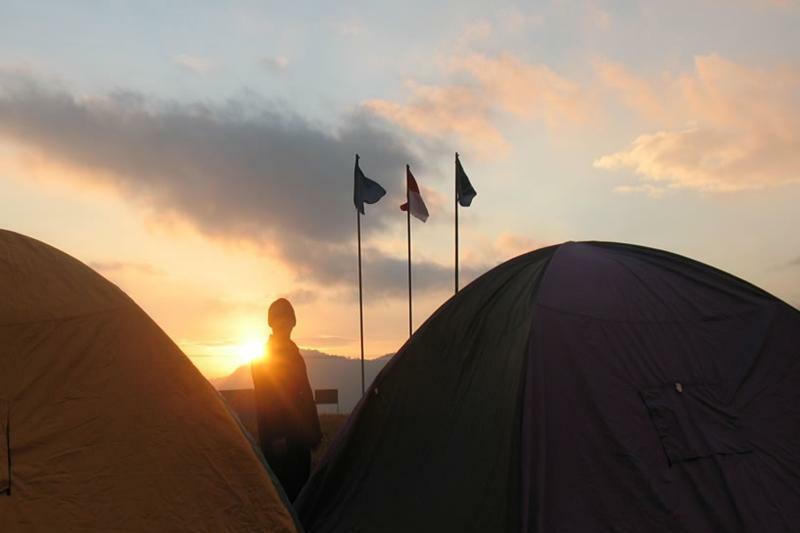 Back then, it was the place for the Nusa Tenggara Scouts events. If you want to travel around Ende and want some challenge in it, this is the perfect site! But you have to ensure your luggage, since to get here is quite far and too much luggage will be bothersome. And if you bring too little, you might facing some troubles there since the public facilities are difficult to find, So be wise about your luggage! Not too far from Sokolo’o Campsite, Wologai Village is around 37 km away from Ende. If you come to this village, you can see a huge tree that locals believed has the same age with the establishment of the village. The age of the village itself has reached 800 years old! 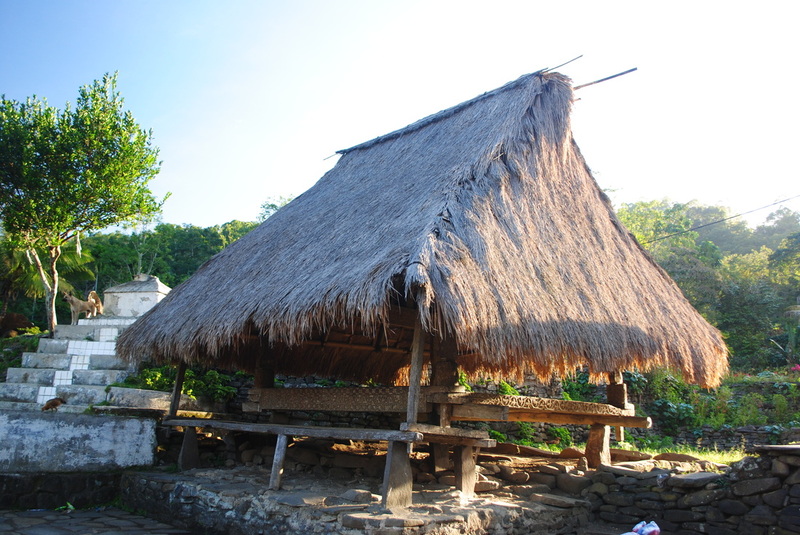 This village still hold their beliefs and some sacred rituals, and still using the traditional house. The houses has three main different shape with different usage as well. There are houses for daily lives, houses for keeping the sacred materials, and house for the rituals. It’s a very interesting place to visit, since you can see the whole village with the accompany of the locals as well! Koanara or usually known as Koanara Moni Village is a village at the base of Kelimutu Mountain. This village is not as old as Wologai, but the beauty they offer is also as good as Wologai. You can see some unique traditional houses which the roof is almost reaching the ground. There you’ll recognize they also have three different houses. One is for daily lives, another is for keeping the paddy after being harvested, and the last is for keeping the ancestor’s bones. It maybe sounds creepy, but the warm villagers will make you feel comfortable when you visit their home. This house is the main things to do in Ende, since this house has the contribution for the independence of Indonesia. 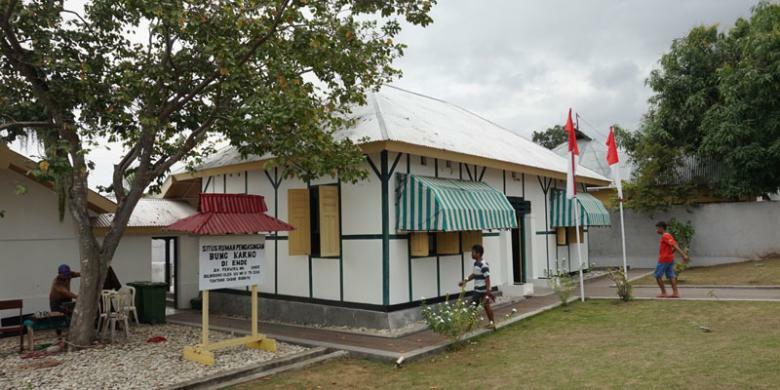 Back then, the first president of Indonesia was exiled here by the Dutch. Bung Karno stayed at the home with his wife, his adopted children, and his mother-in-law. All of the furniture are still original, and this house only got some small renovations in 2012 and re-coloring in 2017. You’ll feel the struggle back then when Bung Karno was exiled but still thinking about Indonesian independence. This is a very good place to remember the sacrifices made back then, and will make you love Indonesia more! 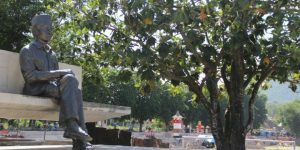 It’s not too far from the Exile House, Bung Karno Park was a place when Bung Karno used to sit and think about Indonesian independence. And finally, Bung Karno got inspired by the five-branched breadfruit tree and created Pancasila. 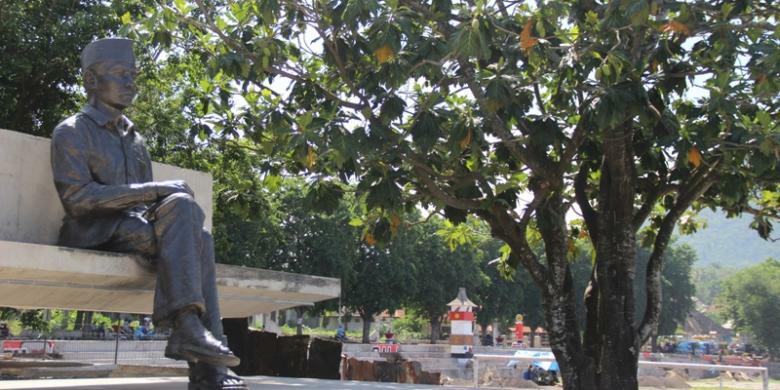 There is a statue of sitting Bung Karno in front of a small pool. Now this place is a public park and everyone can enjoy sitting under the big tress there while chit-chatting or playing with their kids as well. Or maybe you can sit under the breadfruit tree and find some inspirations too! Visit another beautiful parks in things to do in Blora. This museum is only 100 meters away from city park, and in here you can see the tools for making the traditional cloth from Ende. You can also take a look at the example of the patterns as well, as each of the pattern has its own meaning. But unfortunately, this cloth rarely seen recently since the maker is not too interested already in making the cloth. So to keep the maker making the cloth, government made the museum for everyone to visit. Hope you can visit the museum and give contributions for the traditonal cloth to stay exist! 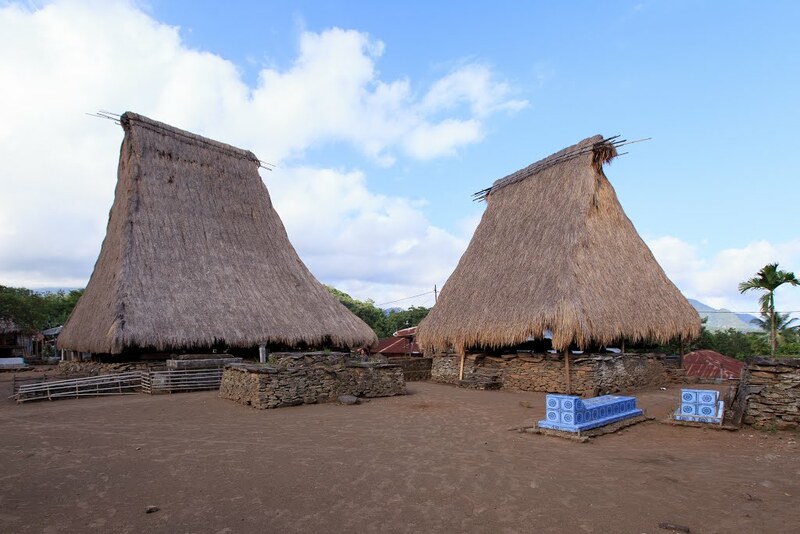 To get to this traditional village, you need to drive for 60 km away from Ende. And don’t worry for the trip, since you’ll pass thorugh a wide and smooth road. When you visit the village, you can find some traditional cloth maker as well. Even though people lived there sleeps and doing activities in traditional village, most of them also live in modern ways. They works in government or other industries, but some of them also still work with the traditional ways like fishing, making cloth, farming, and more. With the warm welcome from the villagers, bet your visit to this village will be unforgettable! This beach also has the same name with the beach in Surabaya, but this beach has the beauty that you can’t find in other Ria Beach. You can enjoy the marvelous sunset, while the wind bring the waves into the beach. Also, you can enjoy the view while take a sip of drinks and munching some traditional snacks available there. If you’re lucky, you can see the activity of ship unloading at the beach. It will be a nice sweet escape there, so you better plan your visit there to enjoy the sunset! This museum is located next to Tenun Ikat Museum, and has the most complete collection in Indonesia. There’s total of 22.000 collections available in the museum, and one of the best collection is the preserved dugong, which was caught by the fisherman in 2002. Or you can also take a picture in the 30 m long whale skeleton. You can get the entrance ticket for Rp 10.000 and Rp 3.000 for children. This museum is opened from 08.00 AM until 04.00 PM. So don’t missed the chance to visit this epic museum! 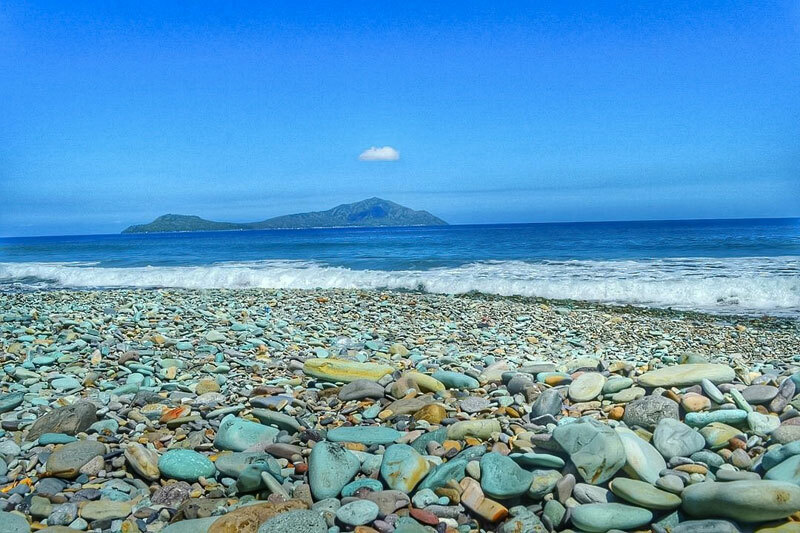 As it’s name, this beach is covered by the blue-colored stones all along the shore. Locals believe that the stone keep coming from the base of the sea, and got carried by the waves. It has smooth surface, like a coral stone. Most of the locals here use the stone to make some unique souvenir. Unfortunately, massive exploitation makes the amount of the stone significantly decrease. 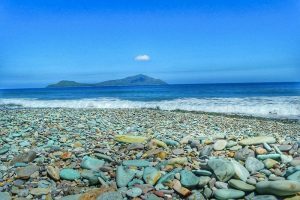 But you still can enjoy the beauty of the beach, since some stones still covering the shore. So plan your visit there, and you maybe can bring some stones for souvenir! Check some beautiful beaches too in things to do in Lombok. Similar to the one in Cape Town, this Table Mountain also has wide flat surface at the peak of the mountain. Many of locals believe the legend that told about the mountain was cut by parang or a big knife. But actually, the peak was cut by the government in 1970 because it’s disturbing the take-off and landing process in Haji Hasan Aroeboesman Airport in Ende. But now, this mountain become one of the iconic places in Ende and many tourists have come to pick some moments there. So hope you don’t missed it too! So that’s 15 pleasurable things to do in Ende Flores Indonesia, that will soothe your body and soul. Hope you can visit them and capture beautiful memories with people you love. And finally, share the happiness to everyone!